Members of the Trump administration surprised the U.S. Olympic Committee by suggesting the nation’s participation at the upcoming Pyeongchang Games in South Korea was “an open question,” and the USOC responded by saying it has no plans on pulling out. 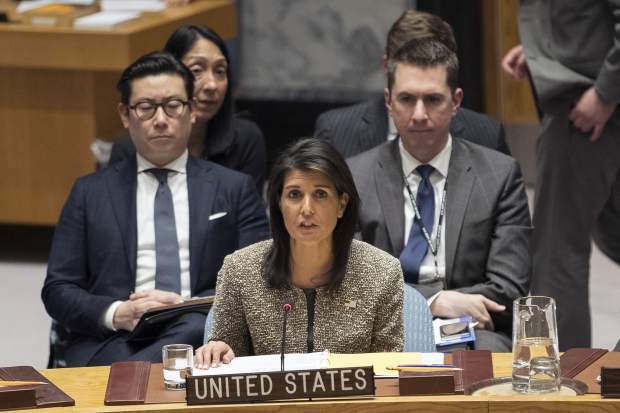 The confusion began when U.N. ambassador Nikki Haley, in response to a question in a Fox News interview, said “There’s an open question” about whether the U.S. team would travel to South Korea, where tensions have grown high after a series of missile tests in North Korea and inflammatory rhetoric between its leader, Kim Jong Un, and U.S. President Donald Trump. South Korea’s sports ministry spokesman Hwang Seong-un said Friday in Seoul that the government isn’t too concerned about the possibility of the U.S. not attending. Hwang said that during a phone conversation with South Korean President Moon Jae-in last week, Trump told the South Korean leader that American athletes and senior government officials would be heading to the Games. The USOC doesn’t receive federal funding, and technically, the official decision on participating belongs to the committee and the athletes themselves, all of whom would be guided by directives from the State Department, which has not issued any travel restrictions to South Korea. The USOC is in frequent contact with the State Department, the organizing committee in South Korea and law enforcement about security issues in Korea and other places that members of the U.S. team travel. It’s the same position the USOC held as of Thursday, and athletes who have been faced with the question haven’t wavered on their intention to compete. Kim Tong-hyung contributed from Seoul.